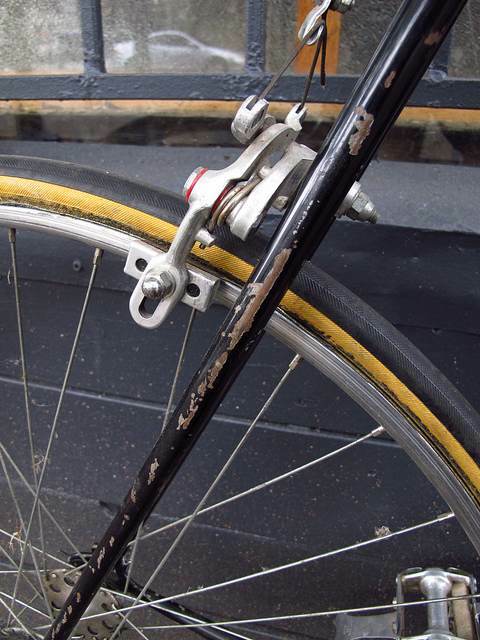 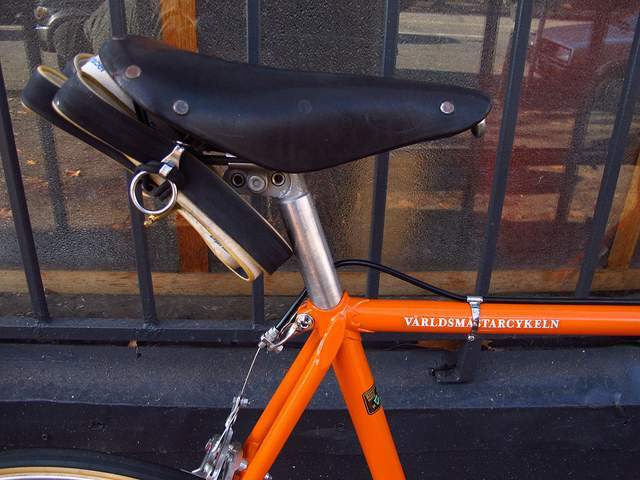 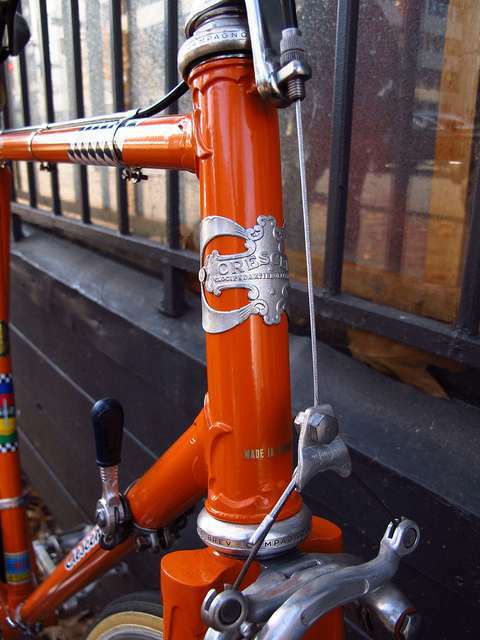 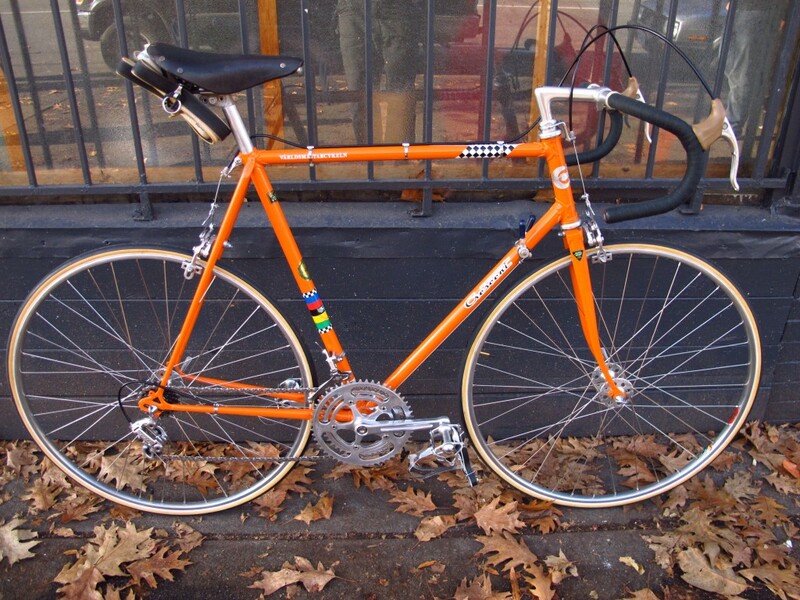 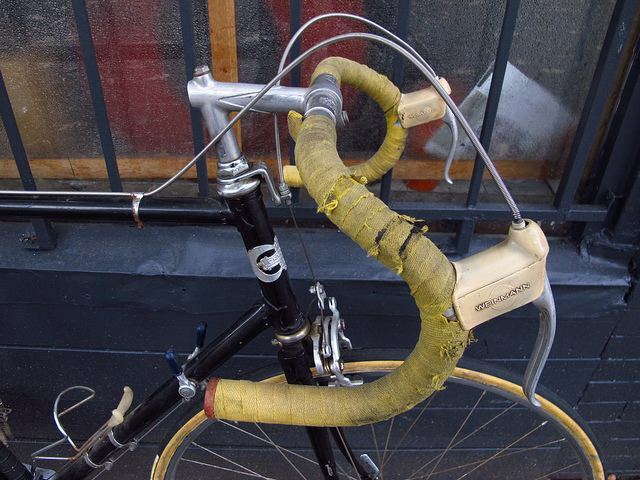 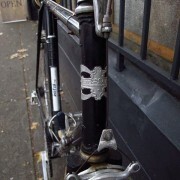 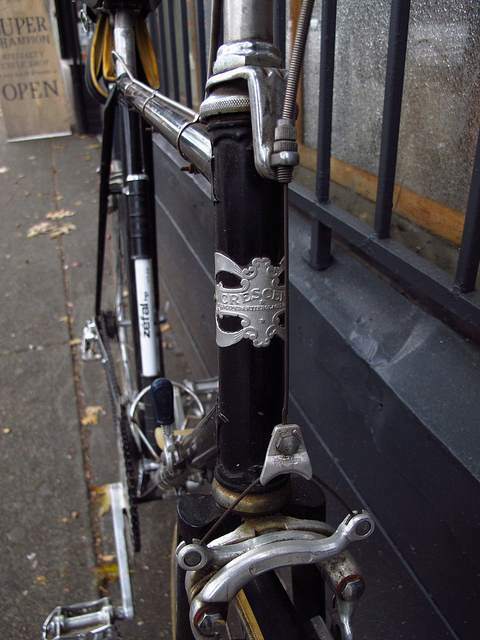 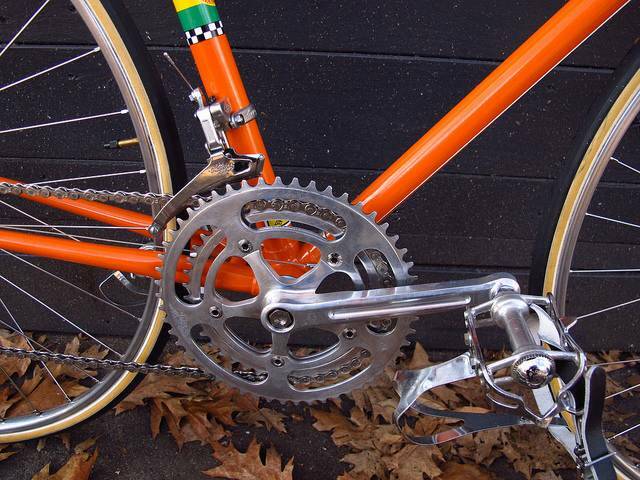 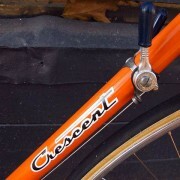 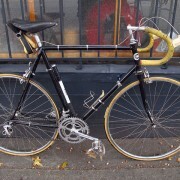 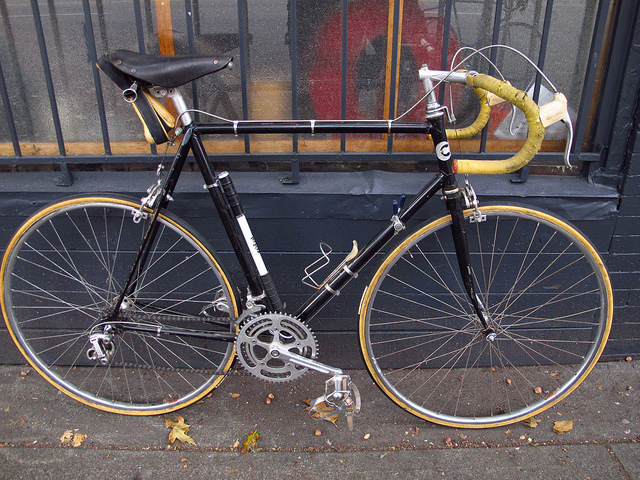 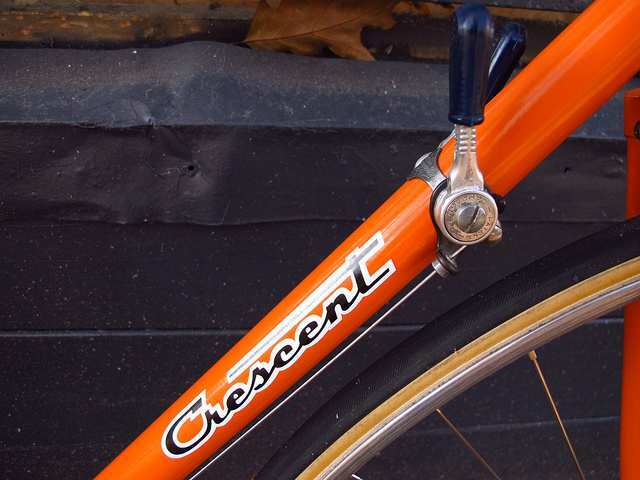 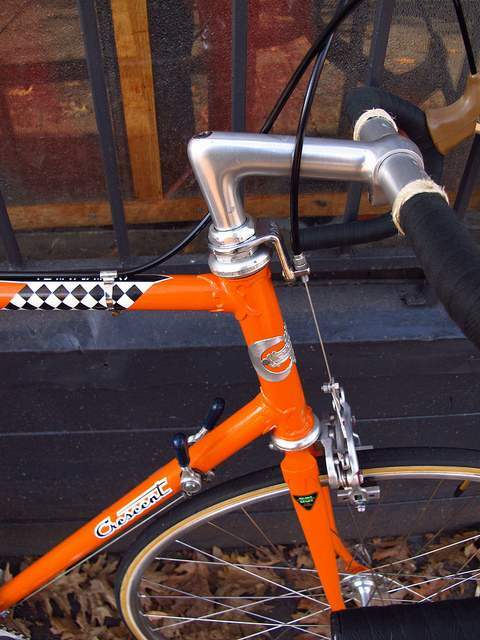 This is a restoration project we did on a customer’s old racing bike from the 70′s. 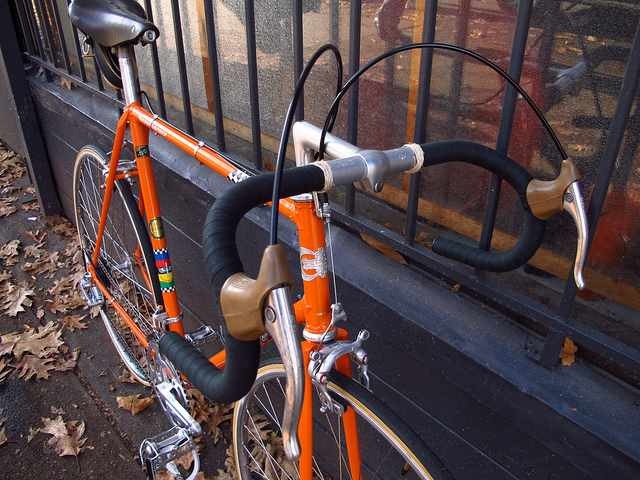 Appreciating our interest in vintage road bikes he asked if we could assist in bringing his old race steed back to it’s former glory.It was a fun project, and he was pleasantly surprised with the outcome. 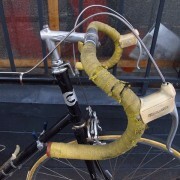 We individually cleaned each parts with a few replacements. 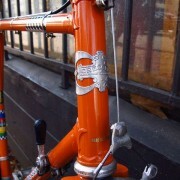 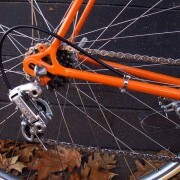 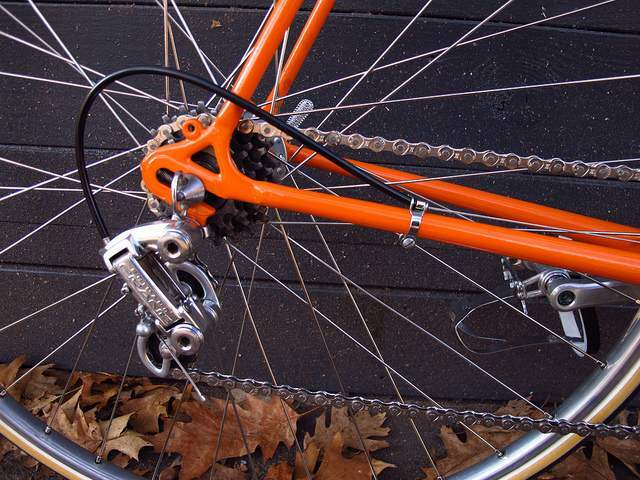 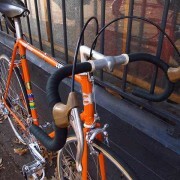 -Reynolds 531 DB Tubing, w/ Campagnolo dropouts. 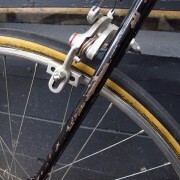 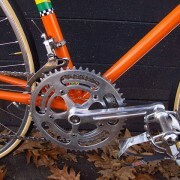 -Campagnolo Tipo hubs laced to Super Champion Arc-En-Ciel tubulars. 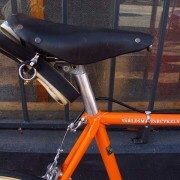 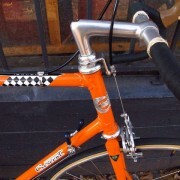 -Campy Nouvo Seatpost w/ Ideale SaddleEnjoy these before and after photo’s and bring us more projects like this!